The Harvard Public School of Health published the results of recent studies seeking to determine if calcium from cows’ milk helps prevent osteoporosis (the weakening of bones), the primary argument made for drinking it the past century. Unlike biased studies conducted by the dairy industry that conceal the facts about dairy, the researchers in these studies do not stand to gain financially from the results. Contrary to popular belief, the results indicate that “high calcium intake doesn’t actually appear to lower a person’s risk for osteoporosis.” Further, the studies found that “individuals who drank one glass of milk (or less) per week were at no greater risk of breaking a hip or forearm than were those who drank two or more glasses per week.” In fact, scientific studies revealed that the more cow’s milk you drink, the higher the likelihood of osteoporosis and broken bones–the opposite effect of what millions of people have been fooled into believing while the dairy industry laughs all the way to the bank. These findings turn long-held beliefs about milk upside down. The Harvard studies also found that “eating a serving of lettuce or other green, leafy vegetable a day cut the risk of hip fracture in half when compared with eating one serving a week.” The dairy industry has tried to conceal this information for decades, insisting that drinking milk was necessary for healthy bones; however, the Harvard studies found that “getting one or more servings per day of broccoli, Brussels sprouts, dark green lettuce, beans, collard greens, or kale” should meet the daily recommended amounts of calcium for men and women. They also recommend dried beans and other legumes. These results leave the public with no more excuses for drinking cows’ milk, especially in light of undercover investigations exposing the cruelty to animals on dairy farms. Have you ever thought about how bizarre it is that you’re drinking pus and blood filled milk excretions from a cow? I haven’t had a glass of cow’s milk for more than 20 years. My blood test results are immaculate. 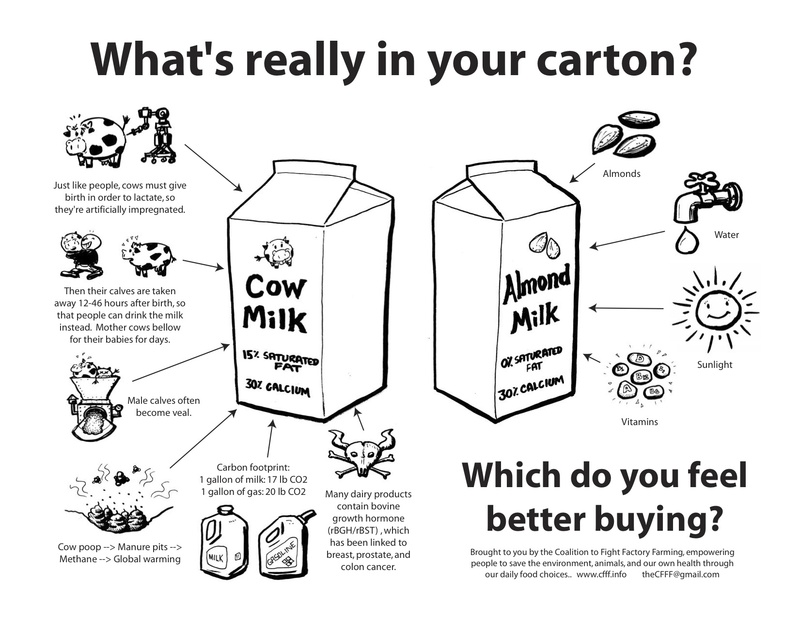 I drink much healthier and better tasting almond, walnut, and hemp milk in cereal and smoothies. It’s delicious and doesn’t contain hormones, steroids, saturated fat, or cholesterol. Most importantly, it doesn’t violate my morals to drink it. I hope you will consider giving it a try. 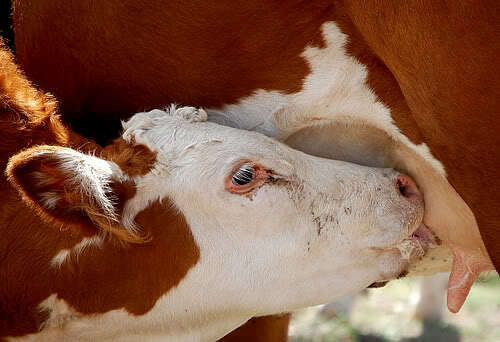 Calves are the only ones who should be drinking their mother’s milk. You are not a calf. My blood tests came back completely normal/impeccible too, further debunking the myth that you need to have dairy products to be healthy and to get enough calcium. I’ve been Vegan for many years now, and am in the best health of my life! No one has the right to take the Life of Another, go Vegan, no more exuses!